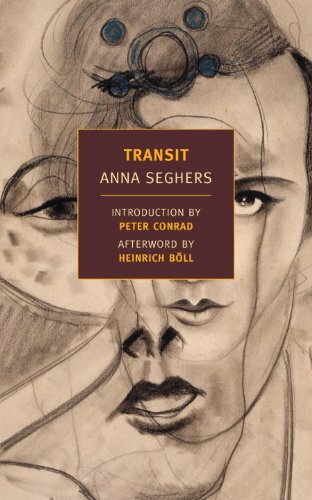 I have just finished reading a magnificent novel by Anna Seghers entitled Transit (1944). At the time it was being written—around 1942—a film entitled Casablanca was being made starring Humphrey Bogart and Ingrid Bergman. The film’s “maguffin,” as Alfred Hitchcock would have called it, are certain letters of transit that have been stolen from Nazi authorities allowing the bearer to leave Morocco for any desired destination. Such was the film’s premise. 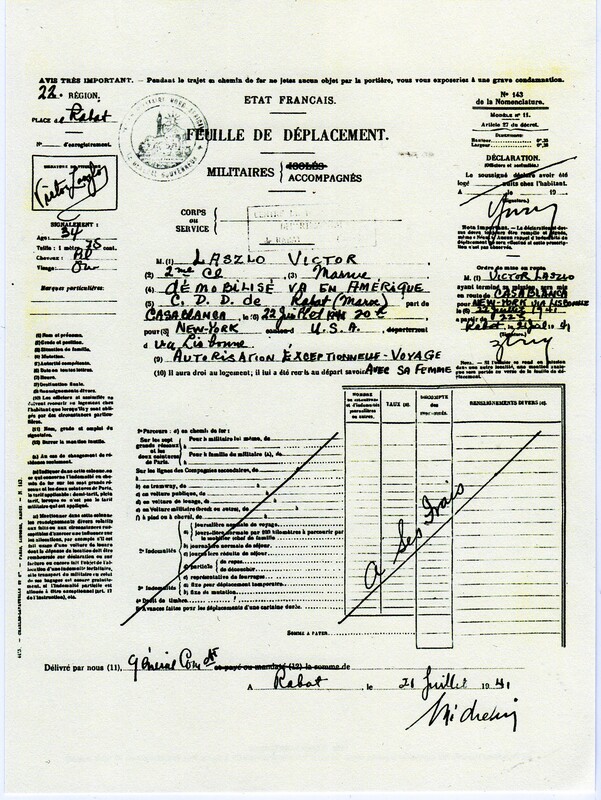 Above is the prop used as the Letter of Transit, duly filled out in the name of Victor Laszlo (Paul Henreid) and wife. 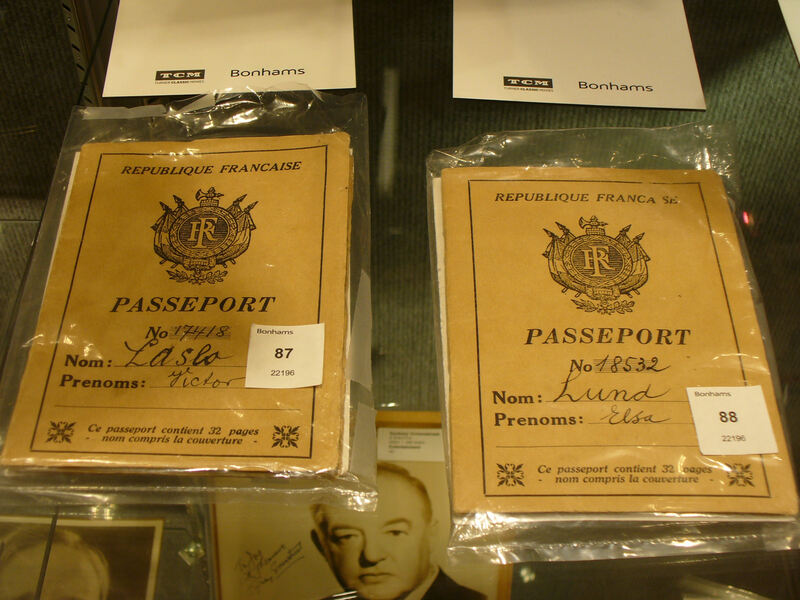 Note, however, that the issuer is the “State of France.” At the end of the film, the Laszlos fly to Lisbon from Casablanca, en route to the United States. Strictly speaking, the so-called Letter of Transit is only an exit visa and does not bear the stamp of the Portuguese consul, let alone the American one. Allow them to leave Marseilles legally. The document above appears to be an exit visa rather than a letter of transit. Pass through other countries en route to their final destination. These are the actual letters of transit, and must be stamped by the consular authorities for each country along the way. A visa allowing entry to their final destination. Tickets for transportation along each leg of the journey. Transit follows various Europeans frantically trying to collect the necessary paperwork before any of the stamped legal papers in their possession expire, which would require them to re-start the process. Three times I was beaten with rods; once I was stoned; three times I was shipwrecked; a night and a day I have been in the deep; in journeys often; in perils of waters, in perils of robbers, in perils of my own countrymen, in perils of the Gentiles, in perils of the city, in perils of the wilderness, in perils of the sea, in perils among false brethren. It’s true, I realized. Everything just passes through me. And that’s why I was still roving about unharmed in a world in which I didn’t know my way well at all. Indeed, even the fit of anger that had decided my life back then in my own country was only temporary. I didn’t stay angry; I wandered around afterward, my anger gone. What I really like is what endures, that which is different from me. I was so blown away by this book that I regard Seghers as the peer of Thomas Mann and Hermann Hesse, and behind only Franz Kafka (who wrote in German). She is probably best known for The Seventh Cross, which was filmed in 1944 by director Fred Zinnemann starring Spencer Tracy and Signe Hasso. During the Second World War, she lived in Mexico, having escaped Marseilles like some of her characters in Transit. She ended up after the war living in East Germany. This entry was posted in film, reading and tagged anna-seghers, casablanca, letters-of-transit, refugees. Bookmark the permalink.